If you search through the Internet, you will find many lists ranking the nations that gamble the most. In all of them, Aussies take the first spot, and Singapore usually follows. However, the concerning thing about it is that the gap between the first and the second spot is quite large. Annually, Australians lose over AUD 17 billion, which means that every Australian gambles away around AUD 1,300. Obviously, this gives us the reputation of the worst gamblers in the world, and nobody wants to be a laughing stock. Either way, the fact that Australian gamblers continue to bet in spite of losing raised a lot of concerns with their government. 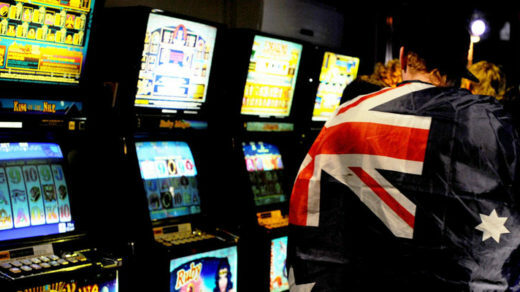 Most officials find the blame in the fact that gambling in Australia is available at all times, at all places. In the end, online gambling in the state was banned — at least for the casinos. To be precise, neither Australian nor the international casinos are allowed to offer online casino games to the Aussie gambling audience. So if you’re looking for any Australian online casino sites — I’m sorry to disappoint you, but there are none. Of course, the law doesn’t stop players from gambling online — it will fine only the casinos. We might’ve gotten the title of the worst gambling nation in the world, but that doesn’t mean our professional gamblers are a joke. 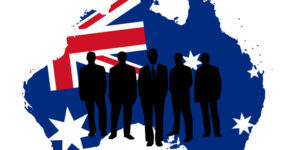 If you look up the richest gamblers, you will soon find out that Aussie gamblers are in almost all of the online lists. Some of them inherited a fortune from their parents and expanded it by gambling, while others started from scratch and built their way up to their first million. 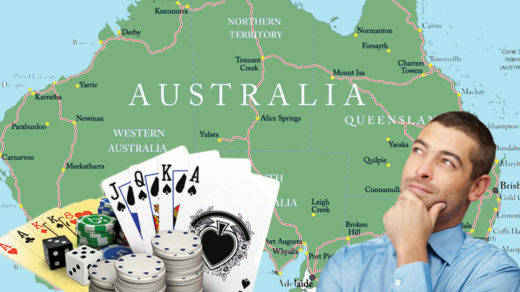 Here are the five most powerful gamblers coming from the Land Down Under. Let’s start off with one of the richest card players in the world. Zeljko first became famous for horse race betting, although he never really explained any methods he may have used for winning. Zeljko was born in Australia to Croatian parents, and he studied Commerce and Law at the University of Tasmania. During his studies, he began to work in a casino as a Blackjack card counter — and he grew to love it. Actually, Zeljko loved it so much that he decided to abandon his studies and fully dedicate his time to gambling. Ranogajec primarily bets on horse racing through the USA, New Zealand, Japan, and England. However, the public also knows him well for his Blackjack achievements. Zeljko turned a couple of thousands into millions by using simple math and his gift of photographic memory. Eventually, he became such a big threat for the casinos that most of the Australian brick-and-mortars banned him. After this, he moved on to USA casinos where he continued to win — regardless to say, they banned him as well. In 2011, Ranogajec found his place in the Blackjack Hall of Fame because his tactics turned him into a billionaire. He never gives interviews nor does he discuss his methods of winning with the press. You could say that he is one of those rich-but-not-famous people — what press says is none of his concern. Packer is absolutely a gambler whose wits you should admire. 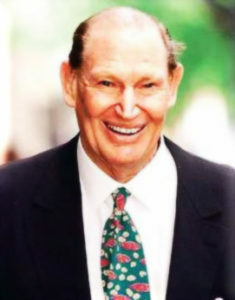 He was born into quite a wealthy Australian family, and after his father’s death, he inherited over $100 million. This also came with television and casino investments, which only added up to his new fortune. During the 90s, Kerry gambled over $28 million of his money in less than a month. Luckily, he managed to return this loss when he stayed in the MGM Grand Casino for an entire week. He earned over $30 million by playing various table and card games — which means he even profited in the end. Although, what Kerry is mostly known for is the fact that he won 20 hands of Baccarat in less than 20 minutes — each hand was worth well over $100 000. However, probably the biggest risk he ever took was selling his father’s business, the Nine Network. This was Packer’s most significant source of income, so nobody quite understood why he would sell it. But he knew better — the new manager didn’t have enough money to manage the company, and Kerry bought it back only three years later, only three times cheaper. Unfortunately, he is no longer with us, as he passed away in 2005, but his son John remains one of the richest people in the world even today. Next to being one of the most famous and richest horse bettors, Lloyd is also a renowned casino owner. In 1994, he established the Crown Casino in Melbourne — probably the most famous one in Australia up to this day. Additionally, Williams was very good friends with Kerry, to whom he sold most of his interests. Next to the interesting horse names, Williams is the only person to have ever won this cup four times — he’s quite a record breaker! Another Australian to put his genius to good use is Alan Woods. He was probably one of the most innovative gamblers ever, and his reputation precedes him even today. Alan Woods began his career by playing Blackjack in Australian casinos, but soon enough, he became famous for horse racing along with his friend Bill. However, the most captivating thing about his winnings was that Alan never witnessed any of the races in which he won. Him and Bill actually created a program that could calculate the potential of a certain horse winning. The program would calculate the weather, the track, the form of the horse, and some other factors by which it could predict the winner. Alan and Bill became very famous and rich quite fast. Unfortunately, Alan left us in 2008, but his legacy lives on — gambling is just another equation waiting to be solved. You probably know David as an artist, not as a gambler. But before he opened his Museum of Old and New Art, David was an enthusiastic horse racing bettor. Similarly to Alan and Bill, David and Zeljko accidentally met and decided to create a program that would help them predict which horses had winning potential. Walsh graduated computer science and mathematics at the University of Tasmania, which additionally helped him become a legendary gambler. After many winnings with the help of Zeljko, David decided to put all his genius into art. 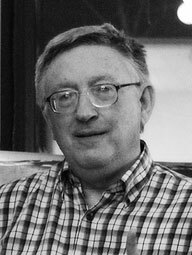 He borrowed about $80 million from his friend Ranogajec, and he began the MONA project. This threw his name into the stardom, and the museum remained a huge success. 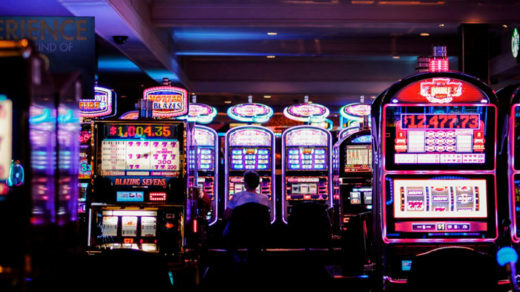 Our casinos have never been more popular — nowadays, more tourists visit the casinos in Sydney and Melbourne than the famous Sydney Opera and the Coral Reef. I wouldn’t be exaggerating if I said that we owed a good portion of this to the famous Australian gamblers. They saved our reputation and made sure that the rest of the world took Aussie gamblers seriously. So even though online gambling in Australia is banned, our land-based casinos definitely make up for it. Gambling in Australia is a fantastic experience that tourists from all over the world come to get a taste of. The gambling tourism in Australia is slowly but surely becoming popular internationally — and I would like to thank all the gamblers who made this happen. It’s time for everybody to find out the Aussie way of gambling. Previous story Sports Betting in Australia — Should We Be Worried?